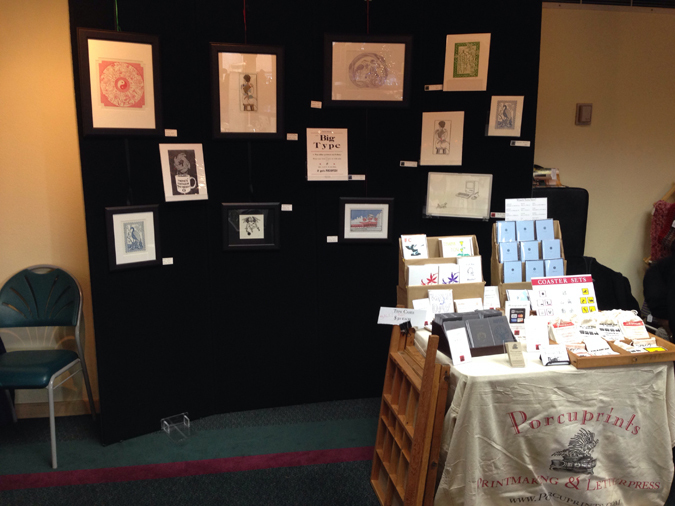 This past weekend, I had a booth at the “Artists Creating a Better World” Show in Lake Oswego. This fun little craft show is dedicated to donating aid to people/groups in need. This is especially important this time of year, with PDX being so freakin’ cold!! For this show, I took the opportunity to try out a new design for my back wall. I framed a few of my pieces and hung them from the top of the wall. I am actually quite pleased with the look! I even used Holiday colored ribbon the hang the frames! 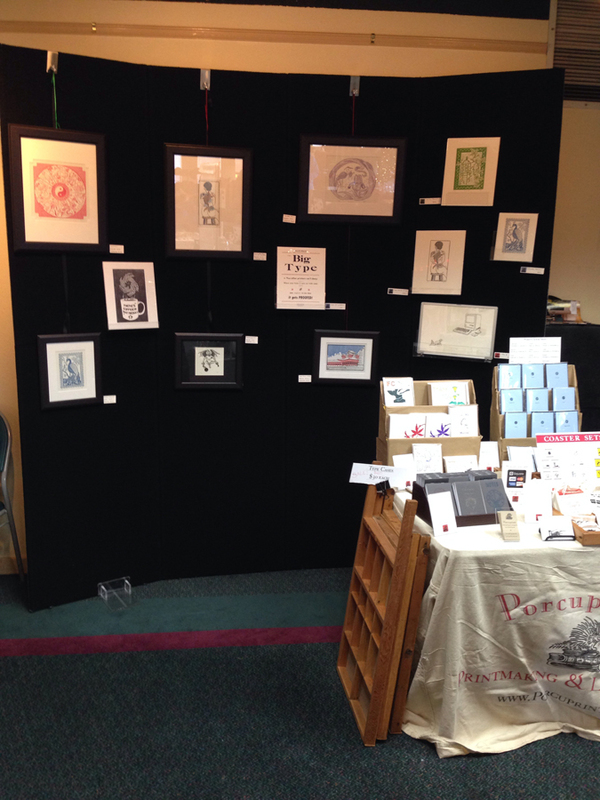 I had a lot of fun redesigning the display and I even sold a few pieces. This is my last show of the year, but hopefully next year there will be many more! ← Cyber Monday Free Shipping!